I have been practicing dentistry for 19 years, first as a hospital dentist, then in private practice as a dentist and finally as a specialist in Orthodontics. 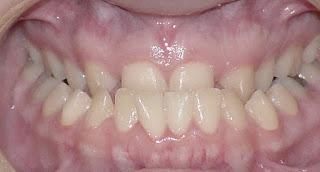 During that time, I have seen what the public sees; ever increasing dental costs for fillings and crowns in particular. But has the cost of braces also kept in pace with these increases? Have you ever wondered how much the costs have increased and why? When I first started as a dentist, there was no digital radiography available, no laser scanners and limited computer technology in the dental office. I remember having a IBM 386 computer for keeping track of the schedule and for minor billing/insurance submission. Beyond that minor addition, we were essentially unchanged from practices 20 years earlier. White fillings were becoming popular but silver fillings were the over-whelming standard. Crowns were charged at $400 in my private practice and fillings were @$100 to $200 for larger silver fillings and $150 o $250 for white fillings. 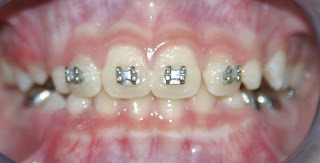 Braces at the local orthodontist were a standard $4100 for adolescents. 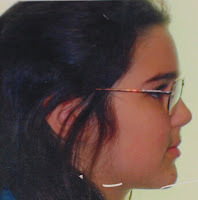 This was 20 years ago; so what does dentistry look like and cost now? As more and more digital devices entered our field, costs began to rise; X-Ray machines were no longer $20,000 as the new digital versions were $60,000 to $80,000. Software became available to assist us but a revolving cost for updates, usually $15,000 to $20,000 for setup followed by a forever yearly cost of $3000 for updates and support. Computers had to be replaced and set back up every 3 to 5 years at additional expense of $1000 per device and the network technology evolved adding costs regularly. Over the last 20 years, property values and taxes have also risen significantly (my building is now valued for taxes at120% of the value just 10 years ago) making rent a more significant portion of a dentist’s overhead and taxes a larger burden. Many offices have had to spread out to gain more market share due to competition in popular regions (I have two locations) essentially doubling costs. Education costs are extremely burdensome with dentists today entering practice routinely with $200,000+ in student debt and specialists even more due to additional years of training. Making this worse, only a small portion could be paid with federally subsidized deferred interest (Stafford loans); the majority of the professional loans accrued a higher interest (I have some still at 6%) sometimes for up to 10 years while the doctor is training in school which added to the payback. When I refinanced a building roughly 12 years into paying back my loans, I learned I had only just reached the principal payback and still owed over $150,000! Today, nearly 20 years into practice, I still pay $3500/mo for student loans. So what does this mean for today’s dentists? It means overhead in the typical but modern general dental office has risen from 55% to 75% or more. This means a general dentist today must collect $1 million dollars (which would have been unheard of 20 years ago) to earn $250,000 salary. From that salary, the dentist will first be taxed 40% federal taxes plus any state taxes and property taxes (figure an average of an additional 10% even though my property tax alone is twice that in Texas since I own the buildings). This all leaves the modern dentist with roughly $125,000 net salary to pay $3500/mo in student loans, maybe another $3500/mo for a home mortgage, at least $1000/mo for health insurance and another $500/mo for home/vehicle insurance and the rest for general living expenses. If you are adding this up, you will see that after producing $1 million dollars over the year (a decent number for a successful practice today), your dentist gets to save less than $23,000/yr. to pay for food, clothing, childcare, retirement, college, etc. So how much are crowns now v. the $400 20 years ago? The average is probably somewhere around $1000 up to $1200 (certainly more complex crowns for implants or other factors can even drive this up). In contrast, your Orthodontist has similar costs with similar overhead but due to wire technologies allowing more time between appointments allowing more patients to be treated, costs have remained relatively stable. Today braces for your typical adolescent will run @$5800 v. the $4100 routinely charged 20 years ago making for an excellent value though I admit the prices are going up due to a much heavier tax burden and overhead. So when you see your bill next time at the dentist or you get that “sticker shock” at your local orthodontic office, you will be better informed about the whole picture and just maybe you will not be too hard on them! Are teeth more crowded today than in the past? Why do so many people "need" braces today? Are teeth more crowded today than in the past? Why do so many people “need” braces today? These are interesting questions and I will try to answer to the best of my knowledge with the caveat that some of this is conjecture and some based on research in the literature. This is meant to be more for thought provocation and is not meant to offend any particular group or population. I have often marveled when the National Geographic publishes the discovery of some previous population of our ancestors and they show skulls with fairly straight teeth. As an Orthodontist, it always make me think on why we have so much crowding in our population when previous people seemed not to be inflicted with as severe malocclusions. But there are a few answers that will explain this conundrum. First, there is academic debate that our diets were rougher in the past including more grains and seeds; this presumably led to inter-dental wear which relieved crowding by not allowing pressures to build up across the dental arch throughout life. Since we know teeth naturally drift forward in the mouth, if we figure the interproximal surfaces are being reduced over time, teeth get smaller and fit better in the arch. We actually use this same idea when treating some patients and even during retention following orthodontic treatment. By reducing between teeth, we can align the teeth into a smaller arch form which prevents teeth from rotating or crossing over (this is routinely performed with clear aligners to correct crowding and limit expansion of the arches which is unstable and relapses following treatment). But this is only part of the equation. The bigger picture is that there were smaller gene pools or less population diversity in the far past. Since everyone within a tribe or region was descended from a more recent common ancestor, they shared more genetic similarities therefore the size of the teeth matched the size of the bone better. As well, we can think in terms of natural selection since we know severely crowded teeth would lead to more significant chances of dental infection which would lead to a higher morbidity (bad teeth led to poor health causing a higher morbidity which selected against this trait or genetic expression). This evolutionary theory is evident with wisdom teeth as earlier humans had more protrusive faces which provided larger arches for teeth; one can measure and see that the teeth on these older humans resemble the same size as ours. 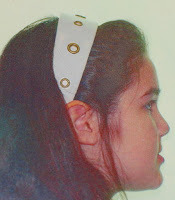 As we walked more upright, our faces became flatter, shortening the arches for teeth. Wisdom teeth became more of a liability and began to cause “ripples” in the gene pool hence now the most commonly missing tooth is a wisdom tooth (or wisdom teeth). Of course dentists and oral surgeons have learned to remove teeth before a mortal infection takes over so there is no more genetic selection against those with impacted wisdom teeth in recent and modern civilization (I would surmise this is similar to poor vision now being corrected with glasses and allowing weaker vision to pass on without being selected against in the gene pool). If we test this hypothesis against an ancient and unchanged population, the Australian Aborigines for example, we see malocclusions less frequently as there is a common lineage with less variation; evolution has selected against severe dental crowding and this has remained unchanged for thousands of years. Not until recently have new genes been re-introduced which represent dis-similar facial patterns but as more Western European genes are introduced with the Aborigine population, genetic variation is increased and we are more likely to see either spacing or crowding not previously common for that population. So applying this theory to a larger population over greater time, (i.e. the accelerated mix of genes as the Europeans colonized their continent and mixed in with other populations) and you can see how easy it is to inherit different features from different backgrounds. Although diets have changed significantly in recent times, I personally see this natural selection as being the more likely culprit to the increased frequency and severity of modern malocclusions. Of course this same genetic variation due to increased gene pools with greater diversity also provides greater protection for humans to resist outbreaks of pathogens making it more difficult for a single pathogen to wipe out entire populations as so vividly imagined on television today. 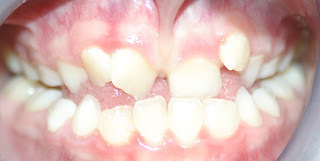 As for these more frequent malocclusion today, I for one am thankful there is a profession that has learned to competently straighten teeth and can provide us all with beautiful and functional smiles for a lifetime of good health even when one’s teeth do not exactly fit together or fit the size of one’s jaws. When is it best to fix an Underbite? There are many hats your orthodontist wears when treating your family. Of course there is the straightening of crooked teeth and the restoration of a functional and beautiful smile. But Orthodontists are not only the experts in moving teeth, Orthodontists are specialists in Dentofacial Orthopedics (manipulating growth and development to correct skeletal problems) and many problems seen in teeth such as crowding/ crossbites/ underbites/ impacted teeth are symptoms of larger problems having to do with the size or position of the supporting bones. The term underbite implies upper teeth that fit behind the lower teeth where the lower jaw cannot be postured or pulled back to place lower teeth behind the upper teeth. This can be from a small or short upper jaw, excessive growth of the lower jaw or a combination of both. We can also have a pseudo-underbite if the front teeth hit poorly and the lower jaw shifts forward. 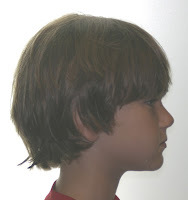 Correction will depend on the portion due to upper jaw position/size and the occlusion; lower jaw growth cannot be stopped or even altered significantly making correction more likely with other means for which we will reserve a future blog (mandibular surgical cases). For this current discuss, we will consider the most common type of underbite which is due mostly to upper jaw deficient growth (maxillary hypoplasia). 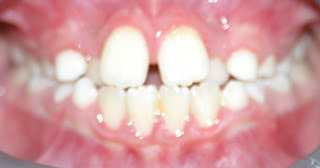 As seen in the cases above, there are different degrees of the same problem which can manifest simply as dental malocclusions (crowding with an end-on bite) up to a full underbite with deepbite. 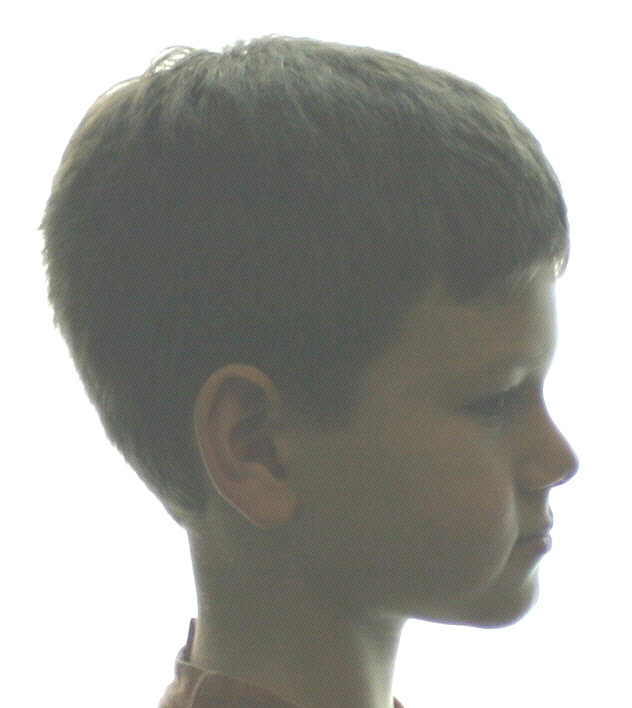 Below you can also appreciate the lack of midface and lip support creating a concave profile. Time in treatment usually runs 6mo to correct the underbite. Limited braces may be considered for an additional 6 to 12 months if the crowding is severe enough to affect the bite even after correction of the underbite or if we are trying to further reduce the need for later treatment. 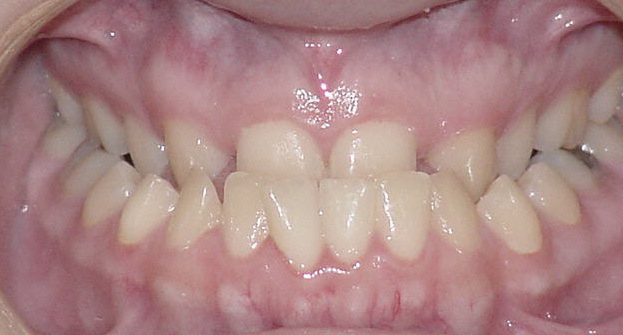 You can easily appreciate the malocclusion and see how the upper arch is “folded back” behind the lower teeth. 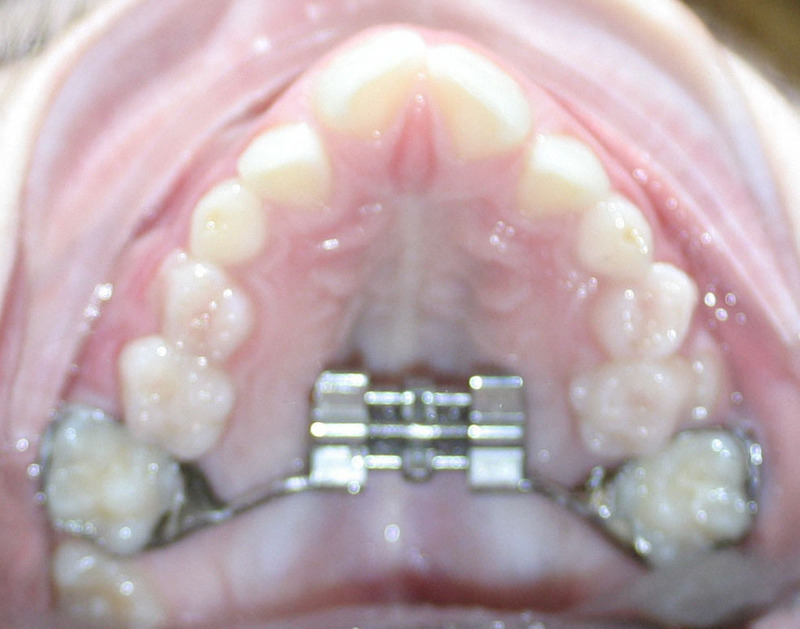 The upper arch was expanded to restore arch width and then braces were employed on the front teeth only to restore an ideal arch shape and align incisors. Following removal of the early appliances, the patient was monitored until all teeth erupted and growth subsided; no further treatment was needed (no full braces). 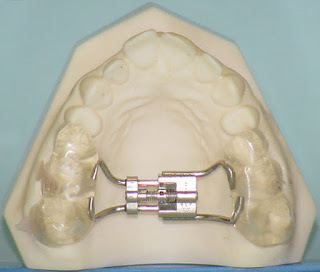 In truth, this is not the norm; full braces are usually still required following early interceptive Orthopedics but when the expansion is just right, the correction of the underbite is adequate and growth of the lower jaw is more normal, it is possible to make most of the correction early. Even if there is further treatment, the main concern is to correct the facial profile and prevent jaw surgery later; anything additional is a bonus. Clearly no parent would chose to wait and perform surgery later, allowing their child to endure the teasing and embarrassment of the initial malocclusion when they could correct the bite early and leave the child with a beautiful and normal smile over the same period. Hopefully this will provide some comfort and advise for parents that are seeking out treatment options for their children with underbites; treatment age is best from 7 for more severe cases up to age 10 for milder cases. After 10 years old early treatment can be more difficult due to less compliance and a transitioning dentition from baby teeth to permanent teeth (as the baby teeth resorb and lose their roots, they provide less and less anchorage to move the bones). Once the patient is 11 to 12, we have to consider different options and timing for treatment which I will address in a future post. How does the new Insurance Law affect Braces? Over the last year, there have been significant changes to the American insurance system. I myself was kicked off a plan, chose another for my family and now that plan is being cancelled and the provider has informed my they will only offer HMO plans. But how does this affect your coverage for braces? Generally, plans on the Obama care exchange will tell you they cover “orthodontics for everyone” (even my carrier told me this was a great selling point I should spread for them) however the fine print tells the real truth. Coverage is only for “Medically necessary” procedures. To this, the carriers provide a lengthy questionnaire making it impossible to receive coverage unless there is a facial deformity or rare genetic syndrome (that is not normally seen in private practice in the first place). I have scored terrible malocclusions with underbites and asymmetries to crossbites and missing teeth and not once have I even been close to reaching their threshold for coverage. Regular dental insurance provided by your employer or purchased separately remains relatively unchanged. You may have a “preferred provider” but in truth, the limit for coverage is always less than the fee (usually you get $1000 to $2000 dollars), so it is rare that you cannot see the orthodontist of your choosing. I am not a preferred provider for any one plan but I accept every insurance. In almost every case, the patient gets exactly the same cost with me versus another “preferred provider”. Why is this? Let me explain a preferred plan. So every few months I get a call or an email from a provider, the last one was Blue Cross/Blue Shield so I will use their letter to illustrate. The representative sends me a letter and states that they have many patients they can send me and that I already treat a fair amount of their clients. The told me how great my reviews were with the patients and how they really want a Board Certified provider of my caliber and experience as a preferred provider for their clients. They ask me to join by simply filling out some paperwork. Who wouldn’t join to such a caring and clearly enlightened group? So I send an email to request the paperwork, excited to be held in such high regard and flattery. The response? A simple email stating they will add me to their preferred provider list if I just agree to drop whatever my regular fee is by 20%. No paperwork, no rigid proof of my credentials, no case reviews. Simply reduce my regular fee 20%. So remembering that braces cost from $5500 to $6000, I realize they are asking me to either raise my fee to cover the “plan” or lose over $1000 per case. Keep in mind that overhead runs about 70% in a modern dental practice. Losing $1000 to $1200 per case would simply remove nearly all of the profit margin. So how do doctors do it? Well there only a few scenarios it will make sense; they are employees of a larger business model or company (and will have no ownership or responsibility to the patient), they might be starting a new practice and want to build up patients (or they are selling a practice and want to build up more of a patient pool), or they are raising their fee to an imaginary number taking into account the 20% hit they are taking. And what about the patients? What do they get? No real coverage, just a list of orthodontists (sometimes even un-trained non-accredited general dentists) that at best may not have the patient’s treatment as their only concern. They may cut out better wires, reduce some of the appliances to reduce lab costs, take braces off a little early or stop taking the insurance mid-stream. So personally I prefer to be upfront with all patients equally, whether they are paying out of pocket or they have great insurance; whether they are wealthy fund managers or house cleaners. Price at my office is based on individual treatment needs only and I use the best appliances for each patient accordingly (and I sell it this way); I have found that my fees mirror closely fees of most providers which tells me there is some slide of hand when offering “discounted plans”. Just keep in mind that if you have dental insurance it will most likely cover you the same with all orthodontists. And if it seems too good, remember we all run with similar expenses; what are the chances someone will treat for $1200 less than the average fee? In this day, it pays to be cautious with insurance companies and their promises. How should I pick my Orthodontist? These days you may live an area where there are many choices for orthodontics. Not only are there general dentists dabbling in braces and offering Aligner trays (usually the generic general dentist version called InvisAlign or Clear Choice), some children’s dentsits offer limited (or in some cases full braces) and of course there are the fully trained specialists, Orthodontists (which may or may not be Board certified). There are numerous un-accredited and un-recognized organizations but there are only two recognized specialty organizations for true Orthodontists; they are the American Association of Orthodontists and the American Board of Orthodontics. So who is the best? Clearly, the highest trained and specialized is the Board Certified Orthodontist followed by the accredited but non-Board certified Orthodontist. Both are accredited specialists and should be capable to handle everything from the mildest to the most severe of malocclusions. The Board certified specialist has performed extra work in the years following graduation to present cases to a jury and further educate themselves in their field to become recognized as true experts. Orthodontists are the first choice when seeking alignment of your family’s teeth. Should I trust my general dentist or pediatric dentist to perform braces? Keep in mind there is typically little to no orthodontic training in general dental school and very little in Pedodontic specialty programs (hence they are specialists for Childeren’s Dentistry and not orthodontics). This is not to say non-specialists/non-orthodontists cannot efficiently and adequately perform minor space maintenance or simple alignment issues if they take enough weekend courses. But comprehensive orthodontics involves a greater knowledge of growth, development, bone physiology and especially physics to successfully and safely reset the teeth to an ideal function that looks good and remains stable. 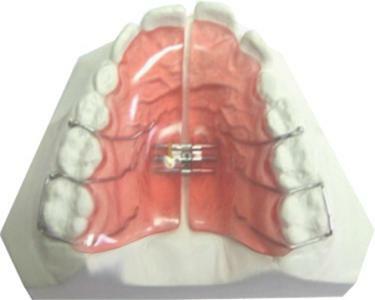 There are many weekend courses for general dentists to take a patient and learn how braces work but after a few months of these, one could hardly expect the same competence as a formally trained Orthodontist that works up to 80 hours/wk with advanced course study and treatment of over 100 patients (for a full 2 to 3 years after dental school) supervised by scores of board-certified and accredited Orthodontists, many of whom wrote the books on Modern Orthodontics. So why does someone go through so much to become a specialist? If dentists are out there providing braces for the same cost, why spend hundreds of thousands of dollars more in training and 3 more years of advanced school/clinical training before treating a single patient? Because a specialist is not comfortable treating your family without the very best and most inclusive accredited specialty education and experience. Doesn’t your family deserve the best? Dr. James R. Waters is a 1996 graduate from UTHSC Dental School in San Antonio, 1997 graduate of Advanced Dentistry from the UNMC in Nebraska and the 2001 Valedictorian graduate from the prestigious Saint Louis University Orthodontic Program receiving the J.P. Marshall award for clinical excellence in 2001. He holds a Bachelor’s Degree in Science, Doctorate in Dental Surgery, a post-doctorate certificate in Advanced Dentistry, post-doctorate Degree in Orthodontics & Dentofacial Orthopedics and a Master of Science Degree in Orthodontics. Dr. Waters and his wife of 19 years live in Austin, TX with their 4 children where he has a thriving, multi-faceted Specialist practice with locations in Steiner Ranch and North-Central Austin. You can learn more about Dr. Waters at www.BracesAustin.com.